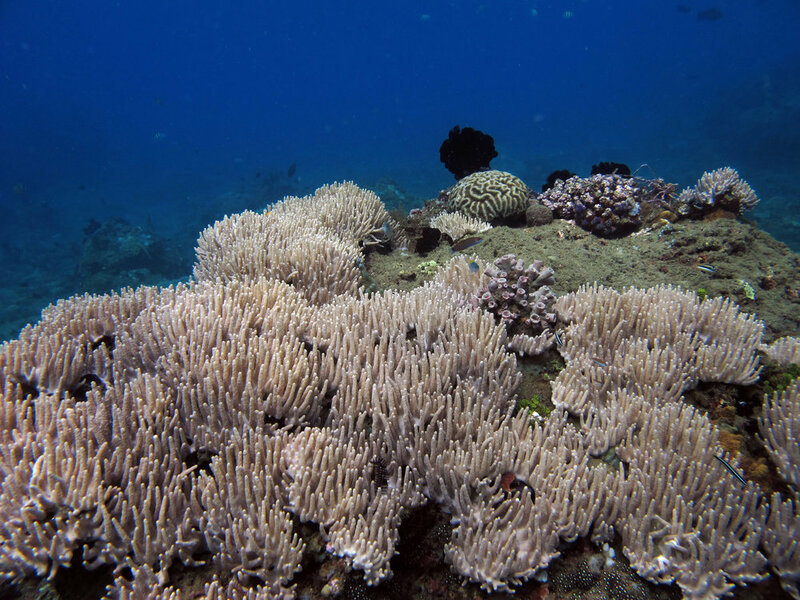 Genetic basis of bleaching resilience — Anderson B. Mayfield, Ph.D. 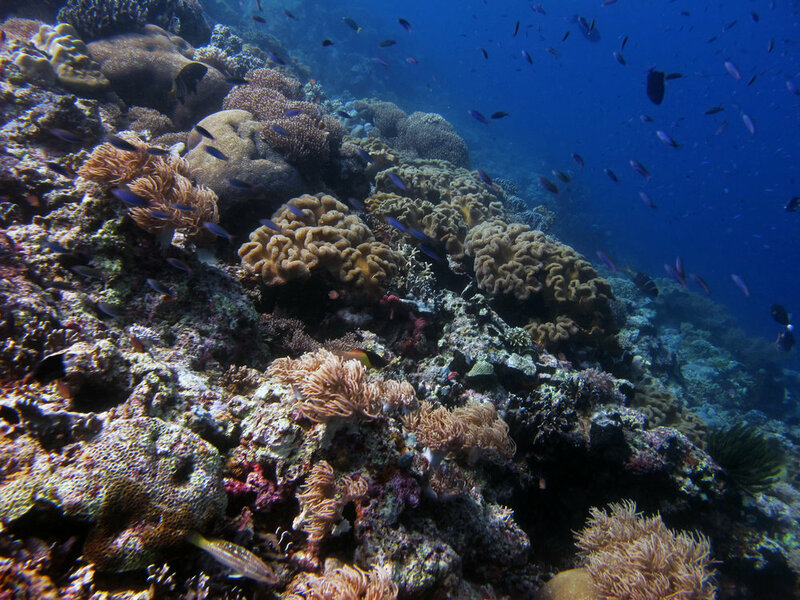 NOTE: There are GOBS of pictures on this page, so it may momentarily crash your computer while loading (or not open at all if you have a slow internet connection). 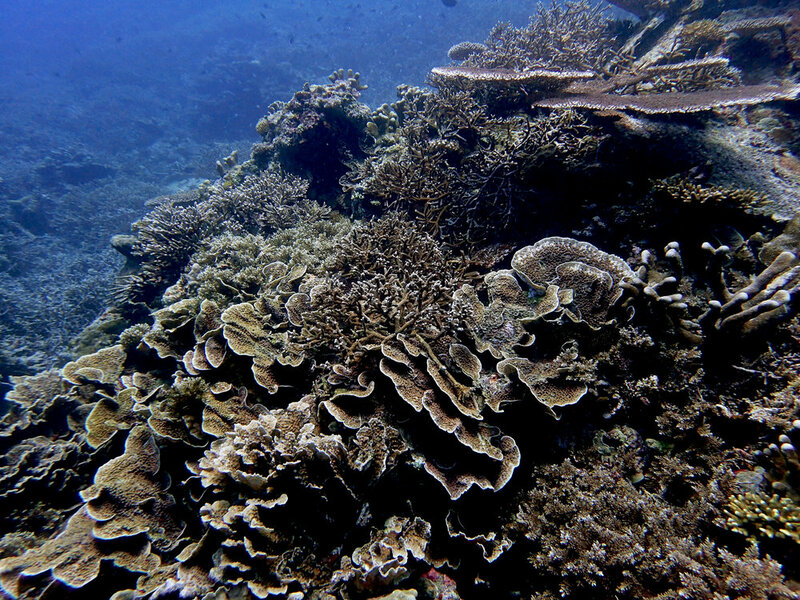 I have recently initiated collaborations with Drs. 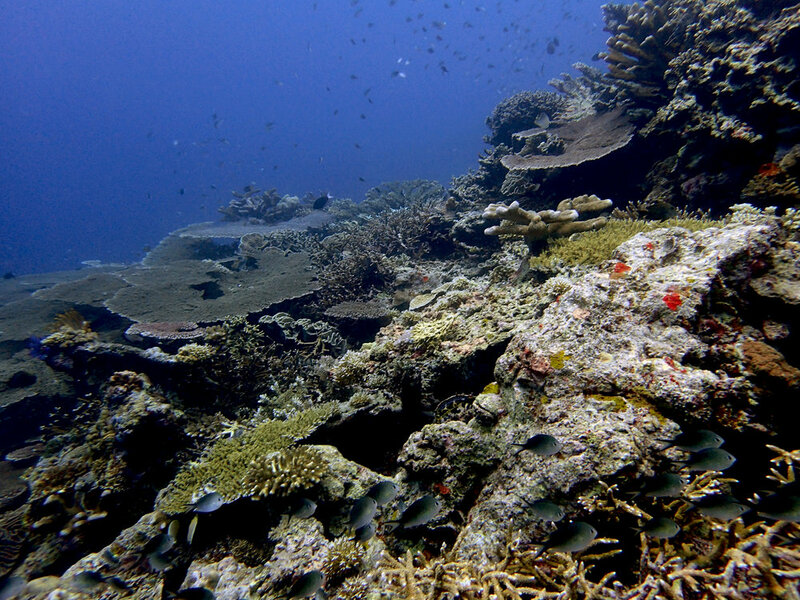 Victor Tizcon of the Institute of Biological Sciences of the University of the Philippines-Los Banos and Gino Limmon of Ambon, Indonesia's Pattimura University. 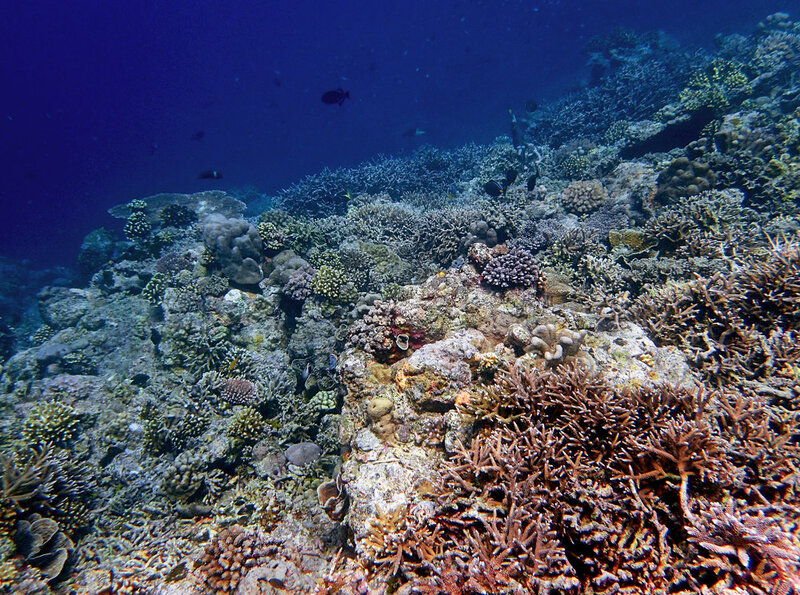 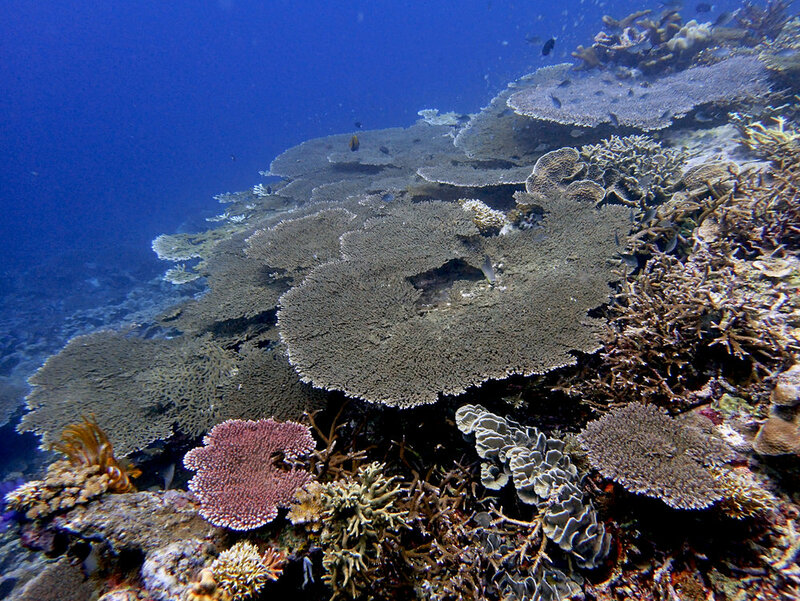 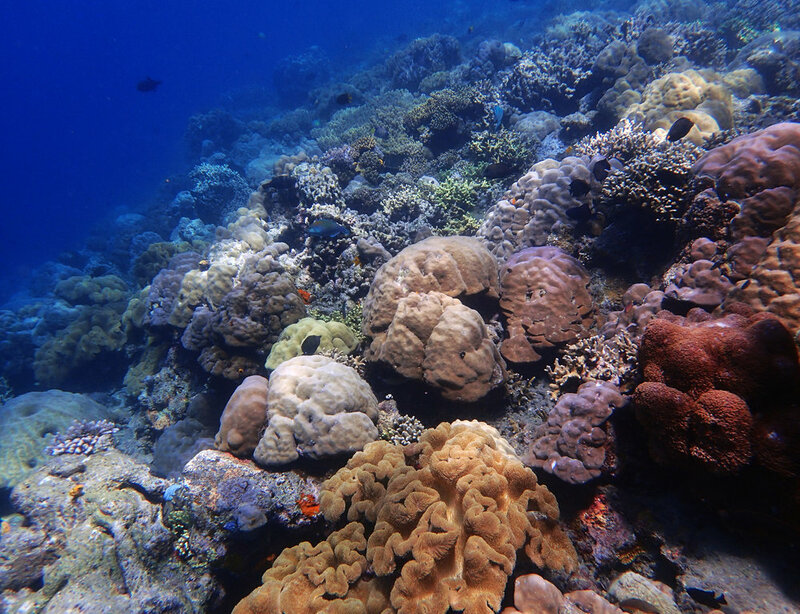 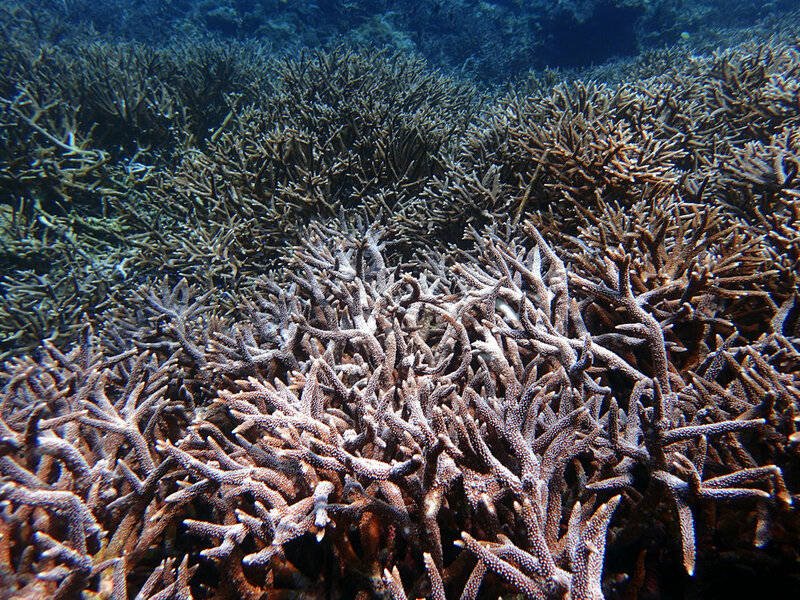 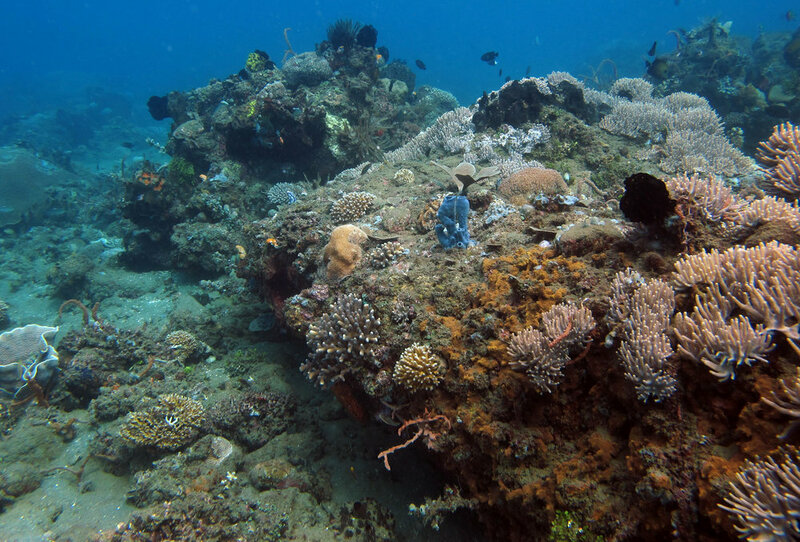 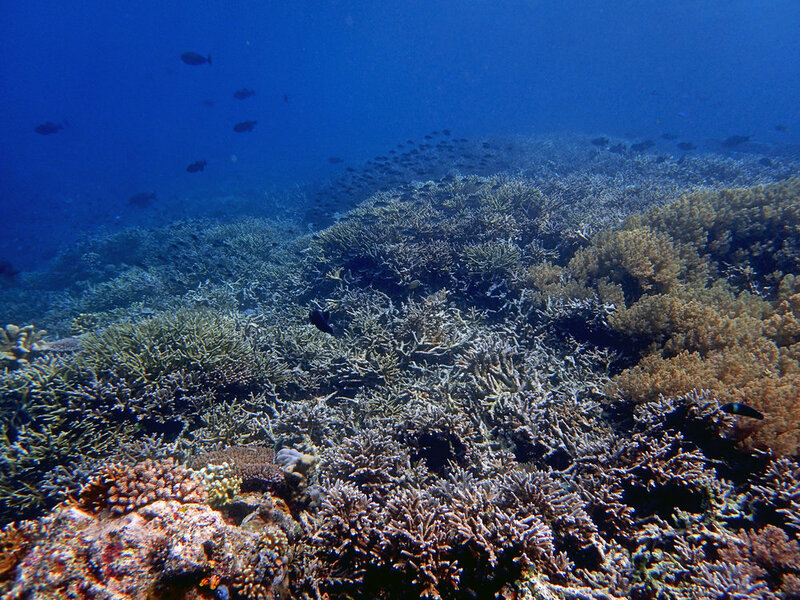 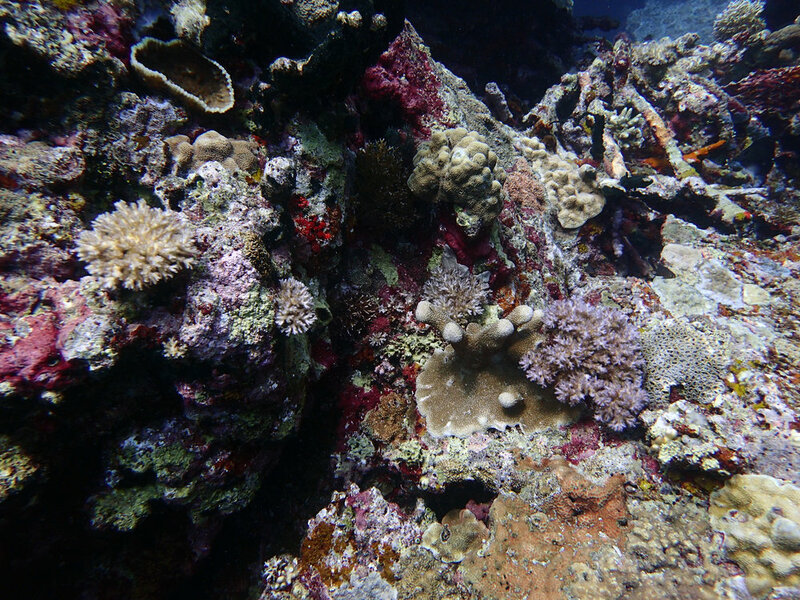 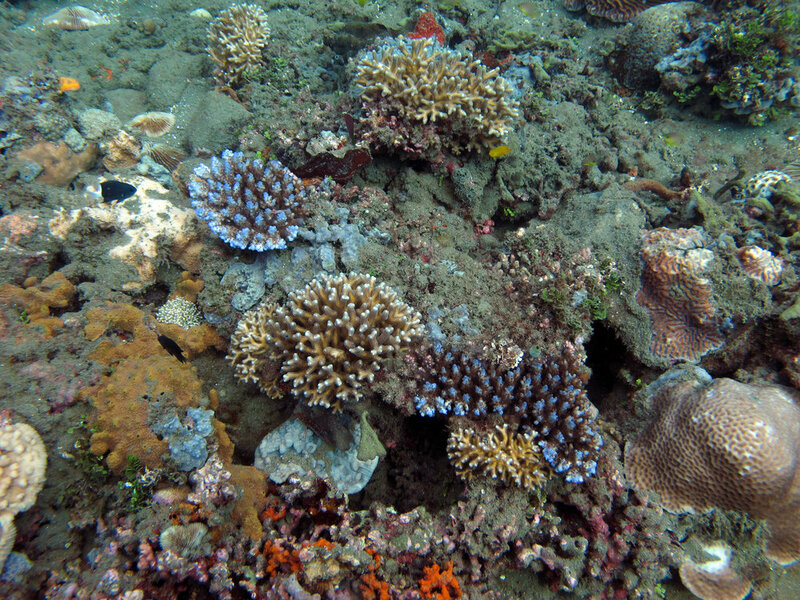 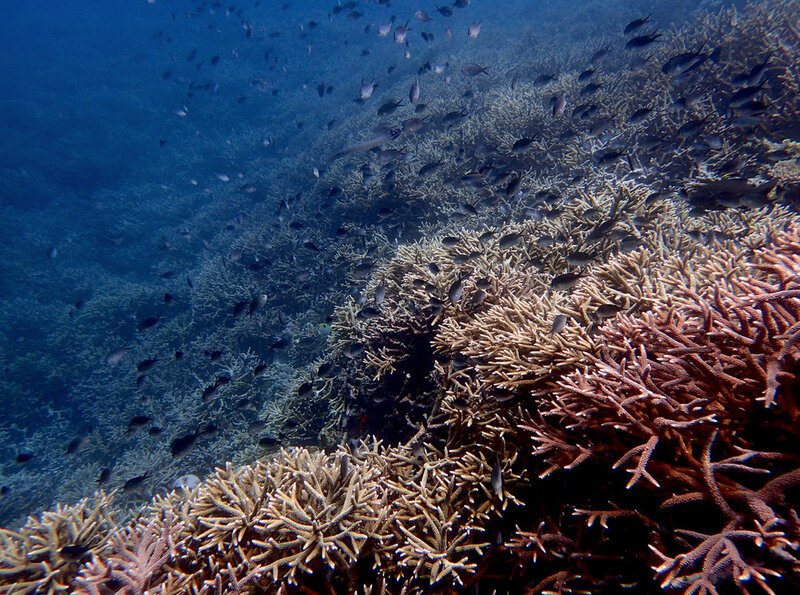 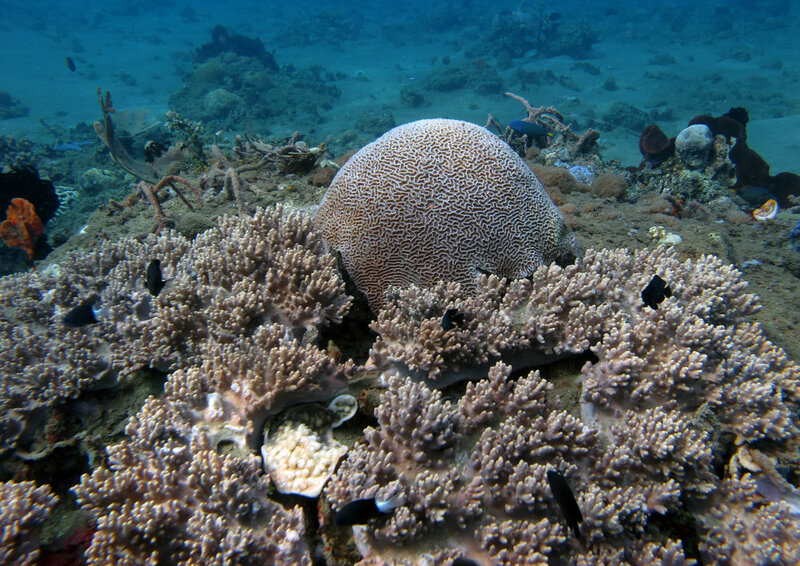 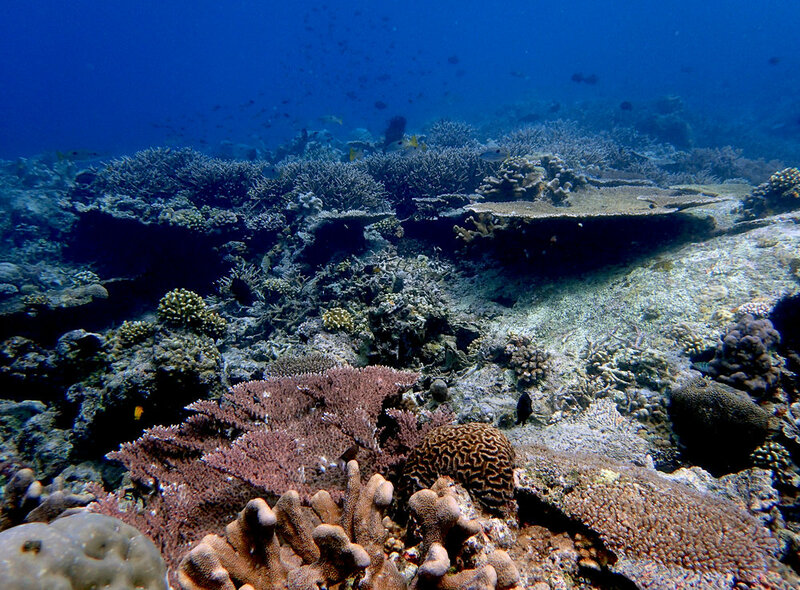 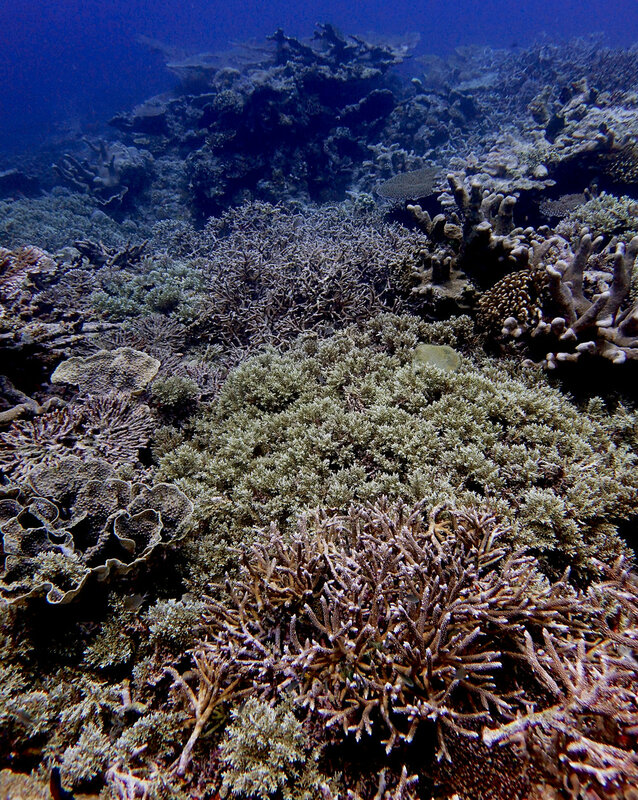 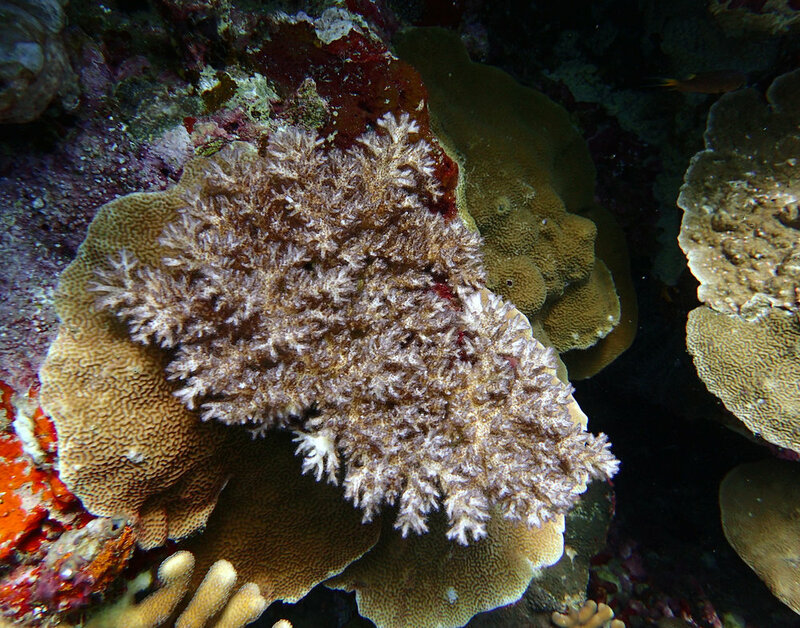 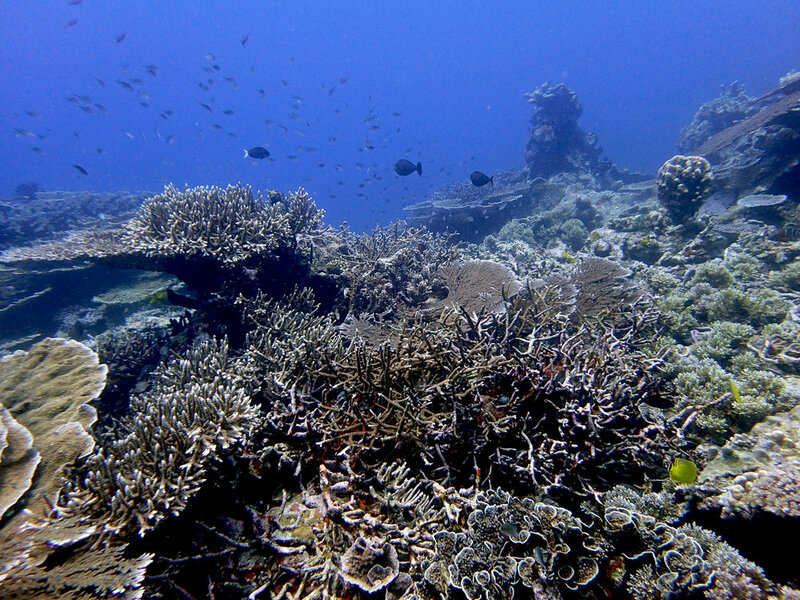 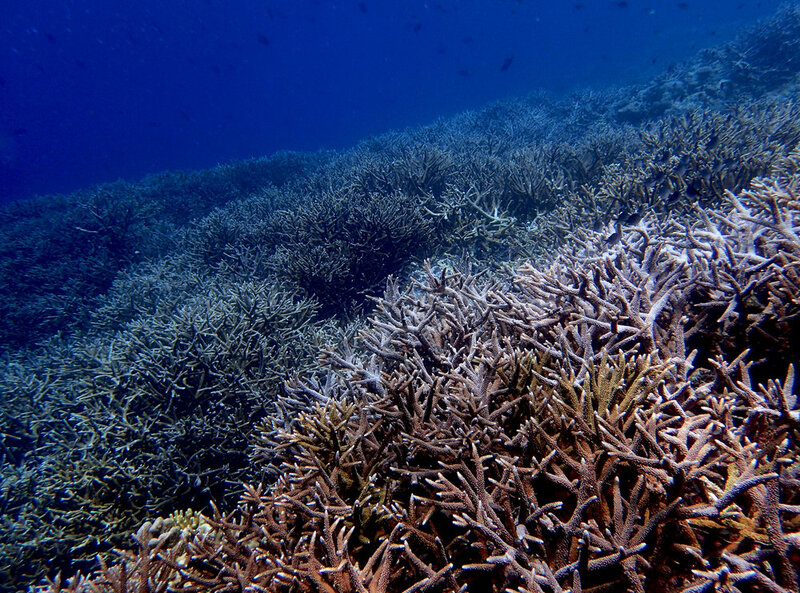 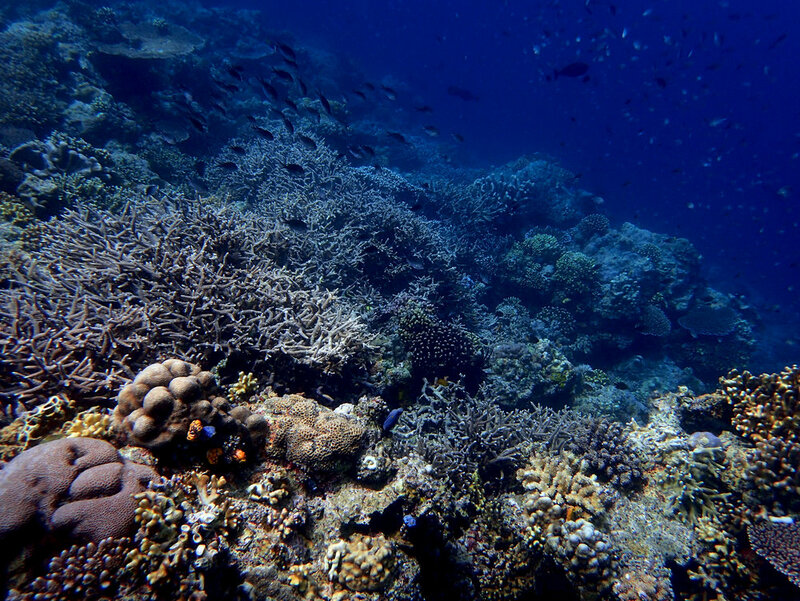 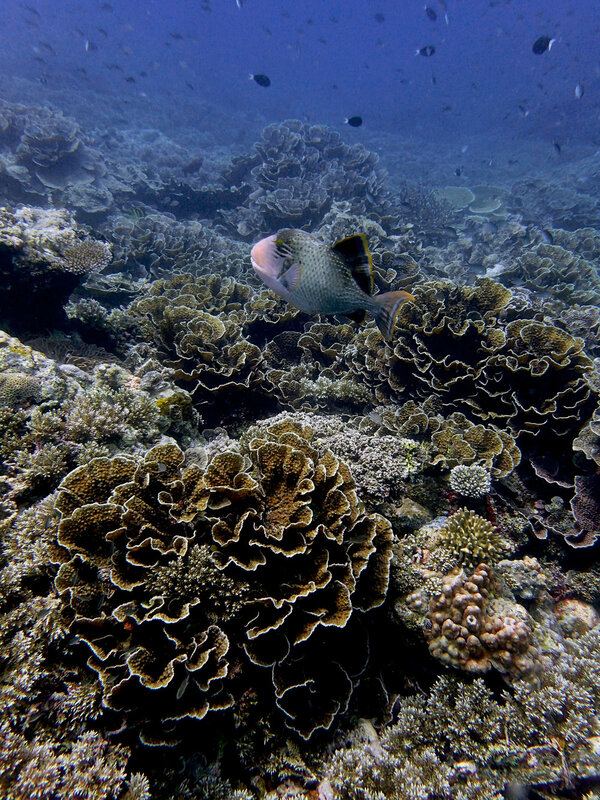 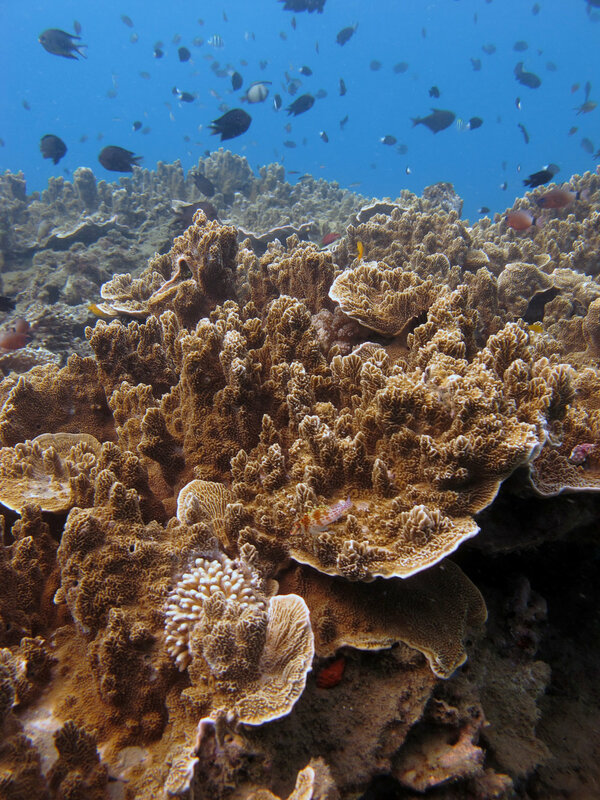 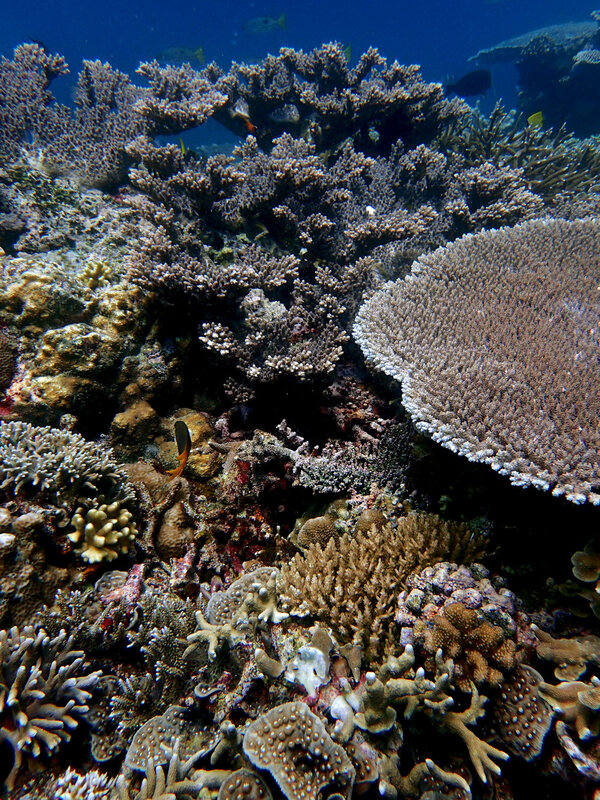 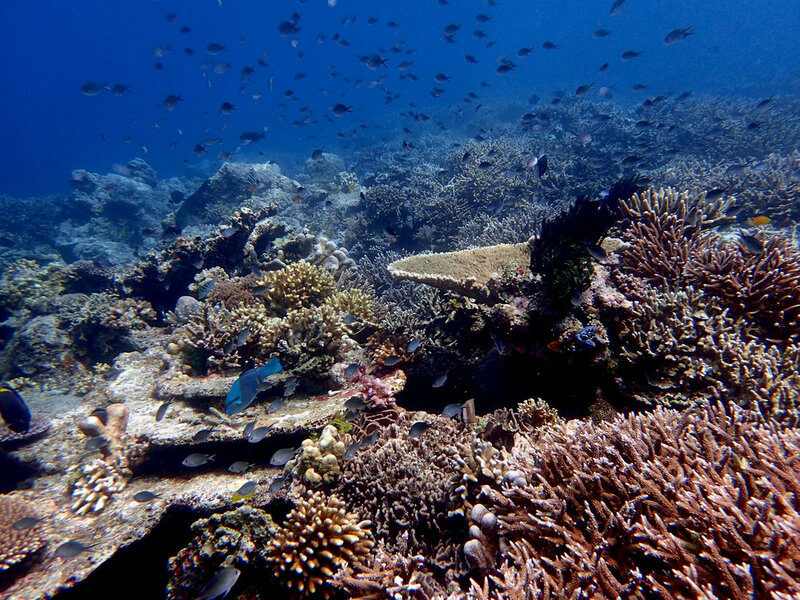 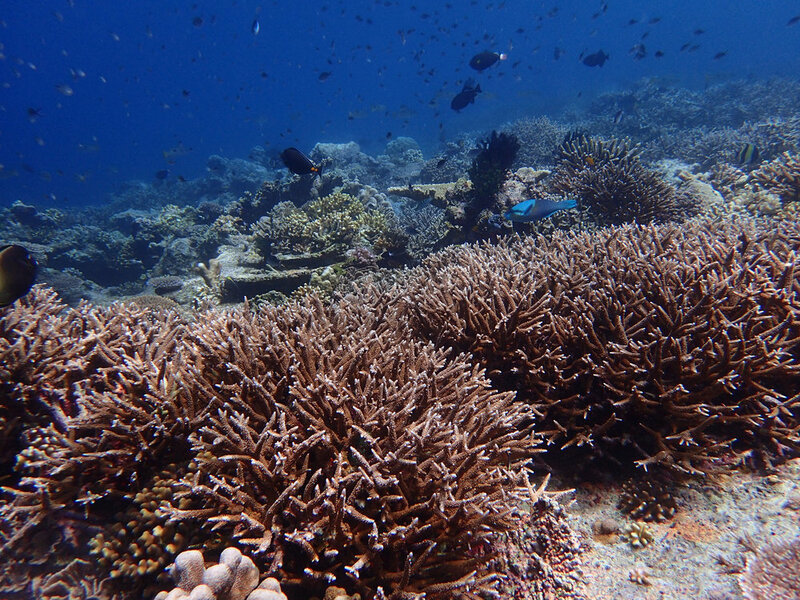 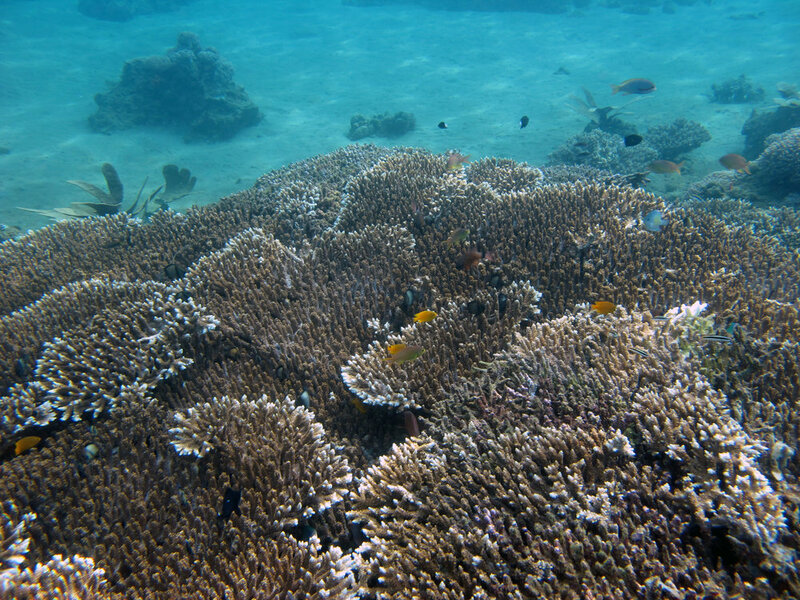 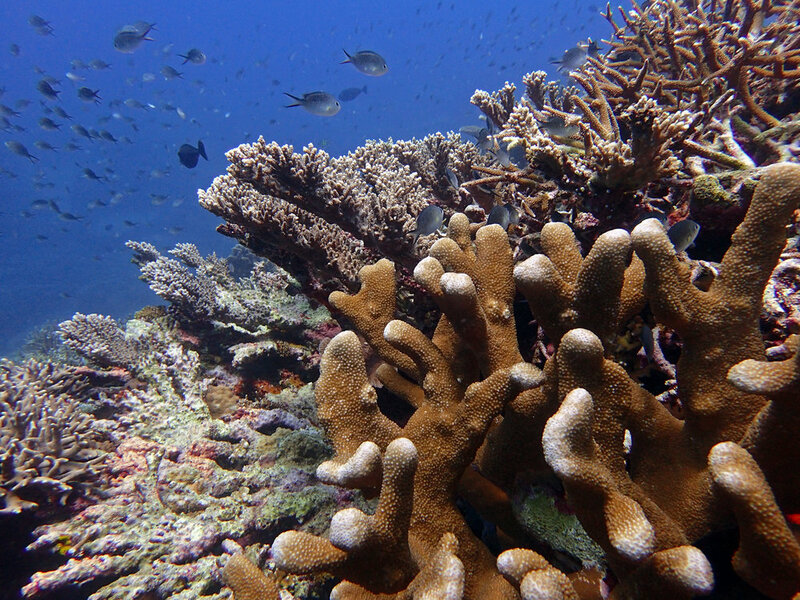 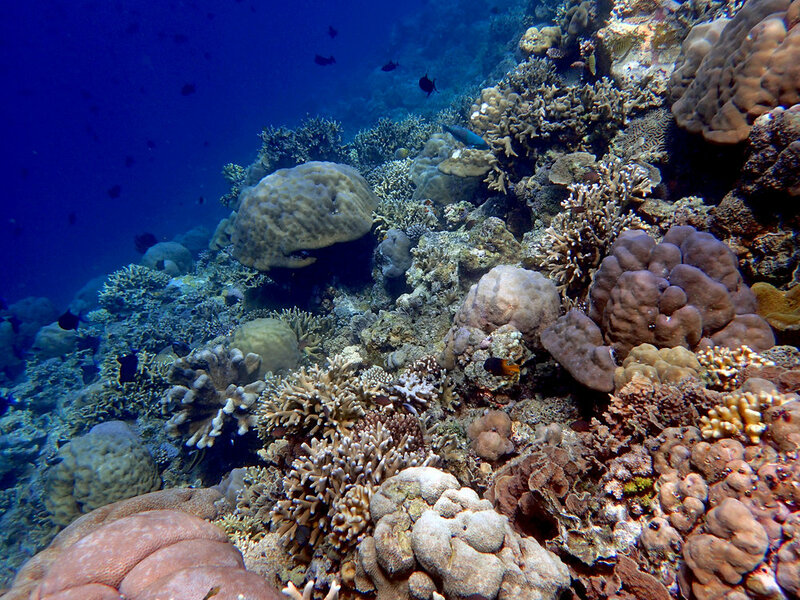 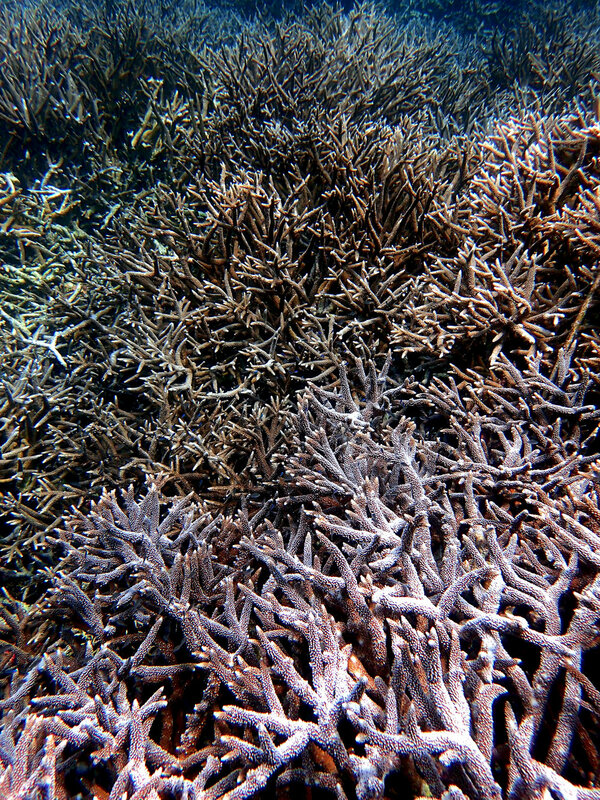 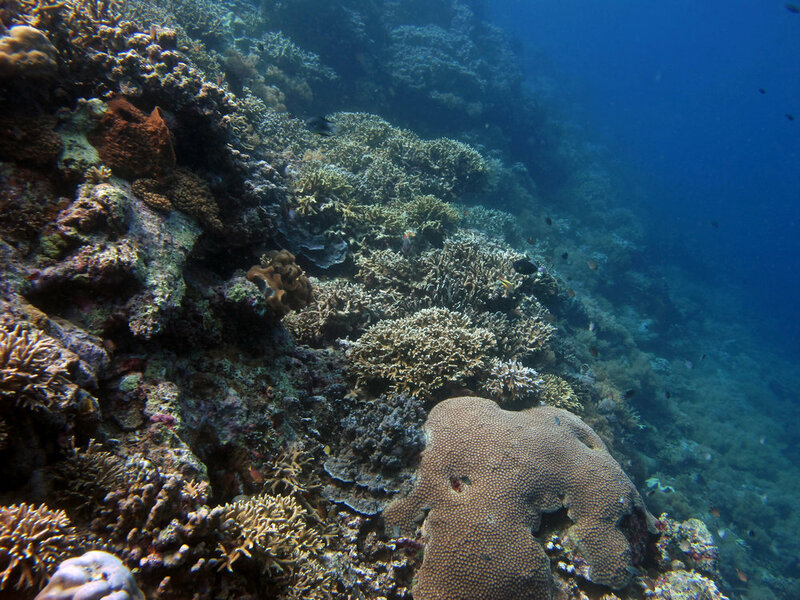 In this project, which is currently being considered for funding by the National Geographic Society as part of their "Explorers" program, I propose to sample corals on reefs spanning a spectrum of bleaching resilience, from bleaching-sensitive to bleaching-resistant, in both Indonesia and the Philippines. 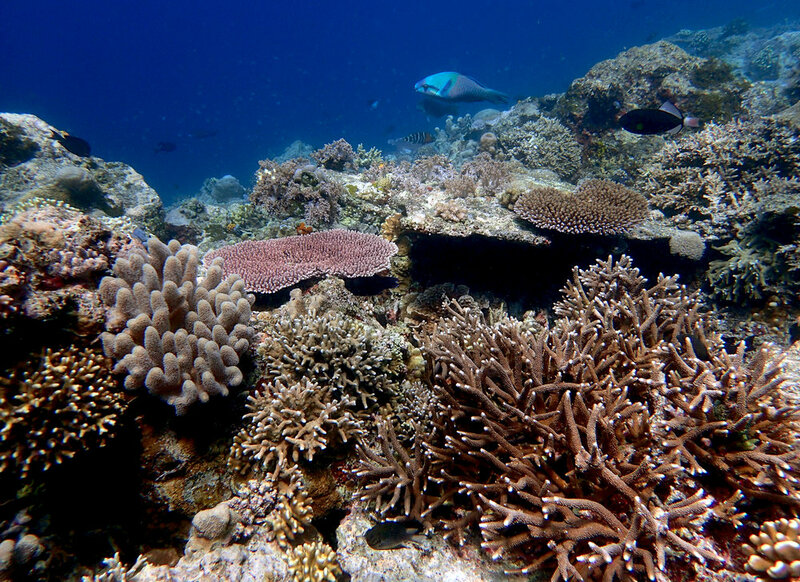 I am particularly interested in working more in these "Coral Triangle" nations because they encompass the world's most biodiverse, and, in my subjective opinion, beautiful coral reefs. 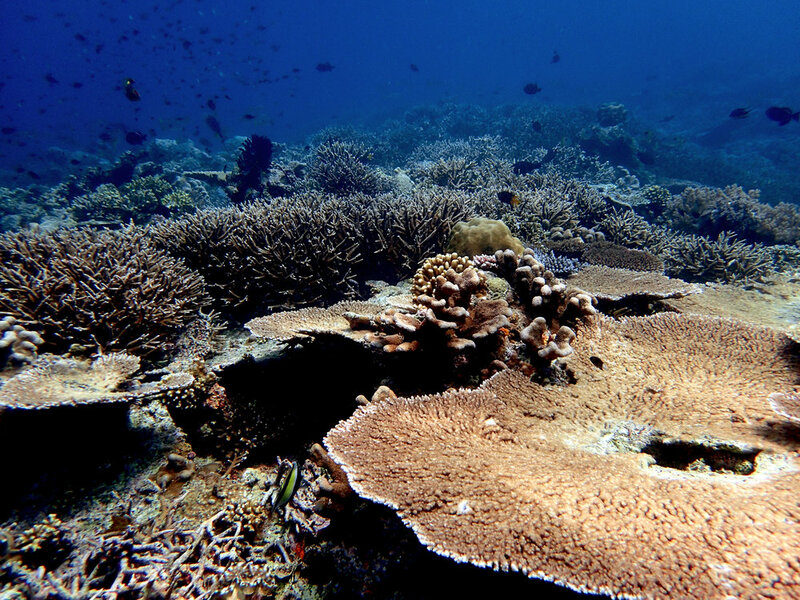 As the two largest archipelagos on Earth, they also contain more reef acreage than anywhere else; this unfortunately means they stand to lose the most in the coming decades, as global seawater temperatures continue to rise. 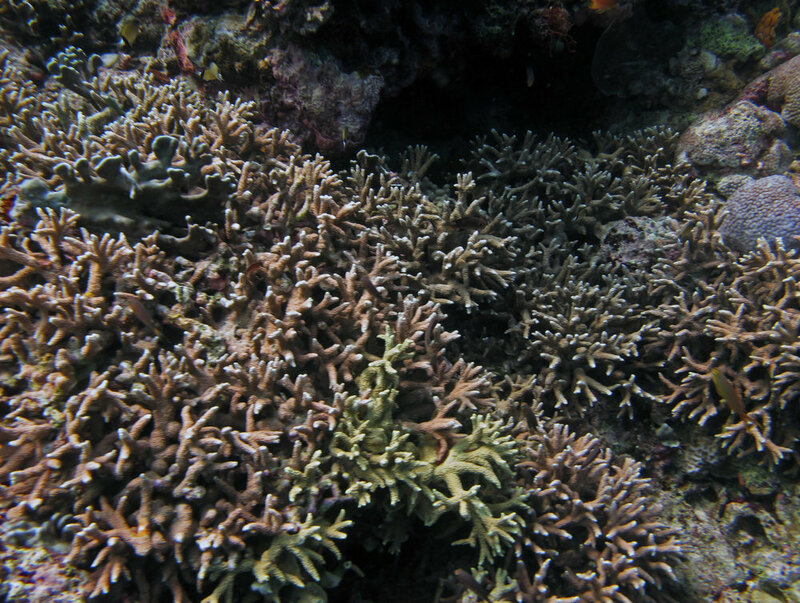 For more details of this project, which features the development and field employment of a "bleaching susceptibility index" that would enable us to predict which corals will bleach in response to unfavorable environmental conditions and which will not, please see this document. 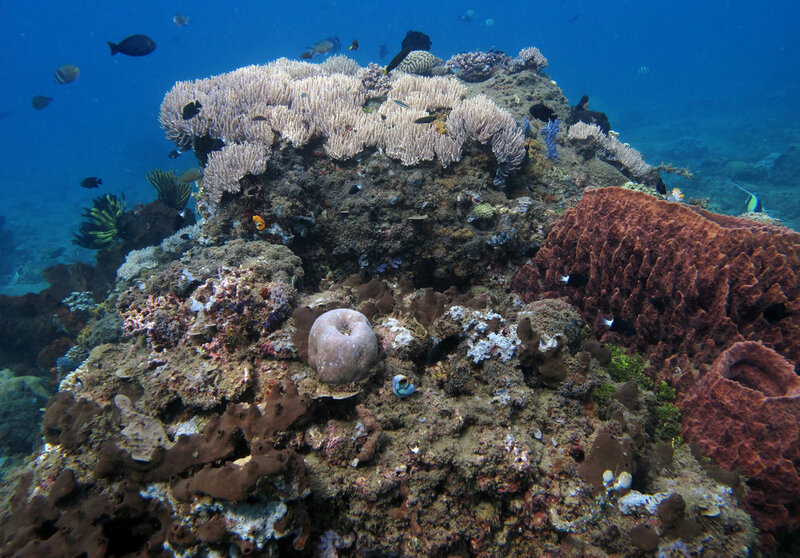 A 6-hr ferry from Ambon takes you to the lovely Banda Islands. 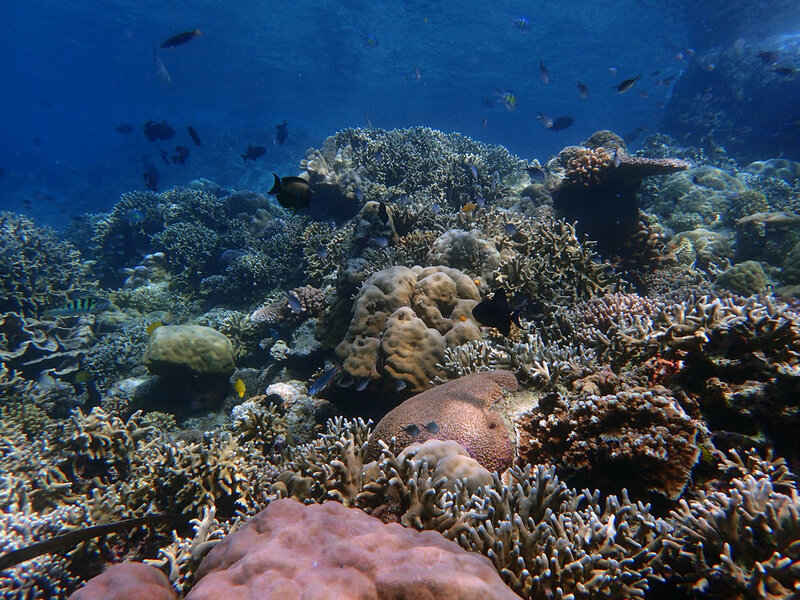 I am slowly but surely processing my amazing photos from this trip (late-April 2018).